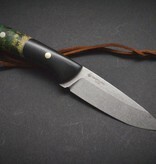 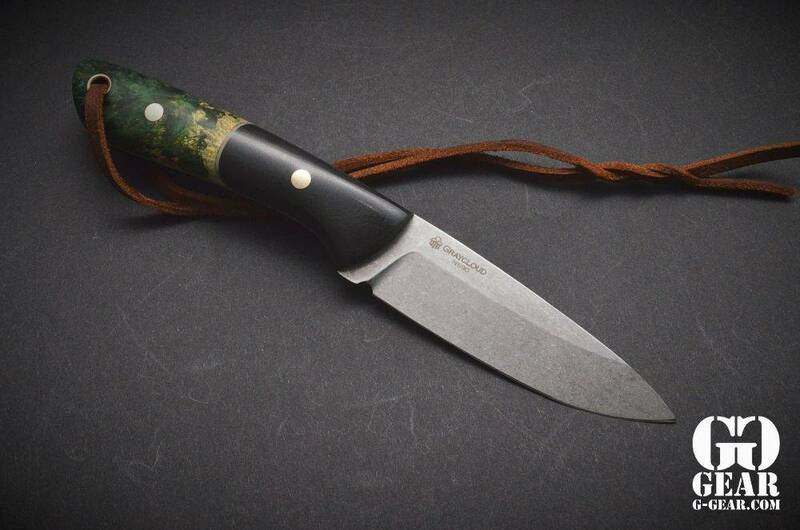 Handcrafted by an award-winning Seattle blade maker, this premium sportsman's knife has a stabilized box elder/ResinWood handle and full tang blade for superior strength. 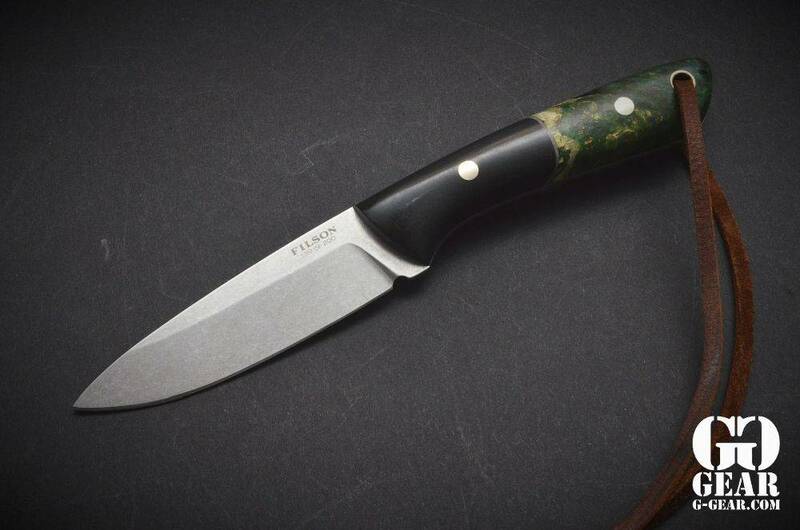 Finished with brass Corby screws and a tubular insert for the leather wrist lanyard, it's designed to fit comfortably in your palm, for everyday utility. 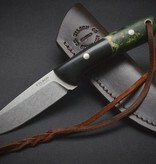 It comes with a custom, saddle-grade Bridle Leather sheath with belt loop. 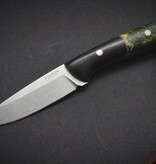 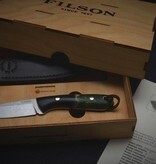 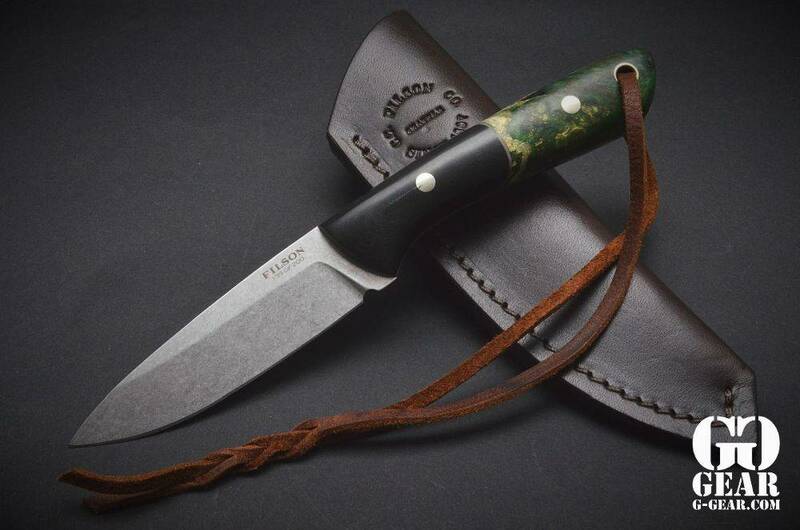 This limited edition knife is exclusive to Filson and is guaranteed for life. 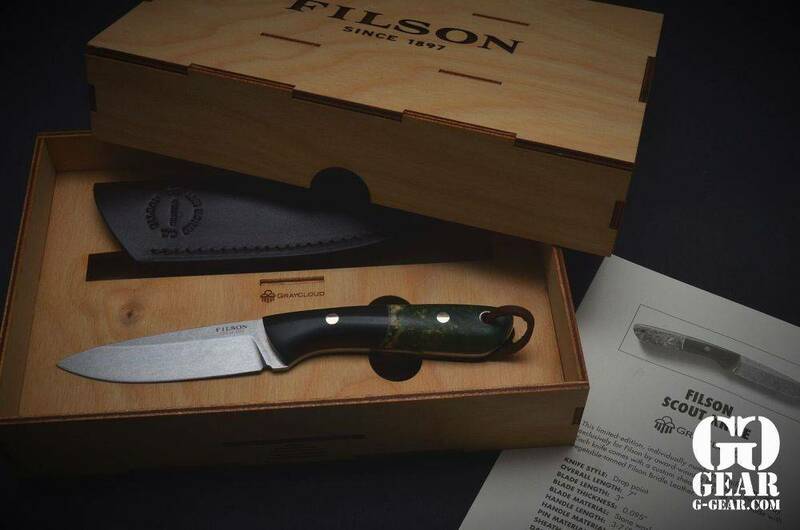 Each one is individually numbered and comes with provenance documentation.